Picking up from where we left off in Bad Faith & Fire Insurance Claims: 5 Warning Signs to Know (Pt. 1), here we will continue our discussion regarding the warning signs of insurance bad faith with electric blanket fire insurance claims. Sign 2 – The insurer is trying to claim that your policy doesn’t cover fire damage. This is another type of post-claim underwriting that insurers may try to use to avoid paying policyholders for their electric blanket fire insurance claims. With this practice, insurers usually will try to contend that, although policyholders have active policies with them, these policies don’t specifically cover the type of damage associated with the claim. If policyholders know this is not true and that their policy should cover the damage associated with their claim, it’s time to rely on experienced legal help to stand up to insurers and obtain the full amount of compensation deserved. Sign 3 – The insurance company’s investigation is taking a really long time. Evaluate the level and cost of the damages caused by the electric blanket fire. Although these investigations can take some time (especially if insurers are relying on information from police or other public agencies), generally, there are time frames within which these investigations should be completed so as to resolve policyholders’ claims within a timely manner. If, however, insurers seem to be dragging their feet and prolonging the investigation, this can be a huge red flag that insurance bad faith practices are at play. The reason for this is that insurance agents may try to add to policyholders’ financial stresses by drawing out investigations in the hopes that these people will eventually be willing to accept settlement offers that are far less than their electric blanket fire claims are worth. Don’t miss the upcoming conclusion to this blog! In the aftermath of an electric blanket fire, victims may overwhelmed and anxious, especially if they have suffered any injuries or if their home has been damaged. 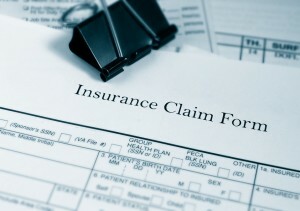 While they may have insurance that they expect with cover such injuries, losses and damages, insurance companies are often not looking out for victims’ best interests and, instead, are looking to save their own profits and bottom lines. In such cases, victims will need an aggressive, experienced advocate who can help them obtain the compensation they need and deserve. Have you or a loved one suffered a personal injury or any type of property loss due to an electric blanket fire? If so, it’s essential that you contact and work with an experienced electric blanket fire attorney who will defend your rights and help you secure the maximum possible compensation you deserve. For more information about your legal rights and to receive professional advice regarding your case, please call the Law Office of John Gehlhausen at 720-542-7885 or email us—we can help!